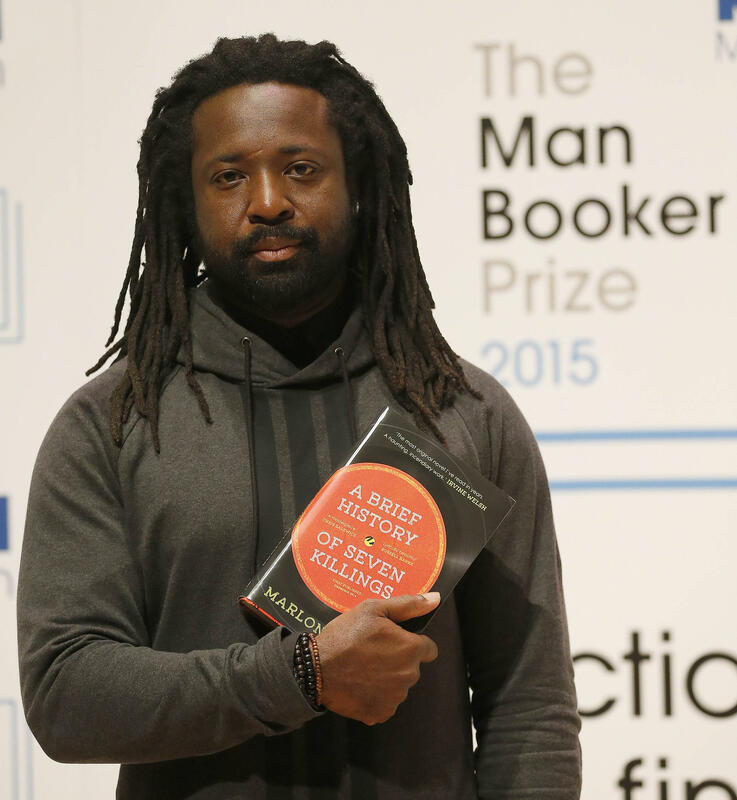 James' winning novel is based on a real-life assassination attempt on Bob Marley. The prize made headlines earlier this year when organizers announced a longlist that included five Americans, up from four last year. Two of them made the final list — Anne Tyler, for A Spool of Blue Thread, and bookmakers' favorite Hanya Yanagihara, for A Little Life — but the night belonged to James. A Brief History is based on a real-life assassination attempt on reggae star Bob Marley in 1976. Michael Wood, chair of the judging panel, called it the most exciting book on this year's list, but, he added, "It is not an easy read. It is a big book. There is some tough stuff and there is a lot of swearing but it is not a difficult book to approach." ... it is a busy book. Characters include the would-be assassins, various gang bosses, journalists and CIA officers. There's the ghost of a politician, and an even more ghostly Bob Marley himself, referred to throughout the book simply as "The Singer." Basically it's one life after another impacted by violence, music and politics. All of them stuffed, and I do mean stuffed, into a novel of 700 or so pages, told from over a dozen viewpoints, over the course of 30-odd years. In an interview with NPR's Arun Rath, James described the book as "post-post-colonial." "Post-post-colonial" — and that's just because I can't think of something wittier right now — I think is a new generation of, well, new-ish generation of writers, where we're not driven by our dialogue with the former mother country [the United Kingdom]. The hovering power for us when growing up in the '70s and '80s was not the U.K. It was the States, it was America. And it wasn't an imperialistic power, it was just a cultural influence. I'm sure if this book was written in the '70s or the '60s, the characters would have ended up in London. They wouldn't have ended up in the Bronx. The prize comes with 50,000 pounds — about $76,000 --- and usually, a hefty boost in sales. The Guardian reports that last year's winner, Richard Flanagan, saw 10,000 copies of his novel, The Narrow Road to the Deep North, fly off the shelves in the week after his win was announced.